This is it. With this closing ceremony, the Great Retro Olympics! is officially over. I know there were a lot of these quizzes the past two weeks -- and most of you understandably got a little burnt out -- but I truly appreciate all the participation. You all are amazing. 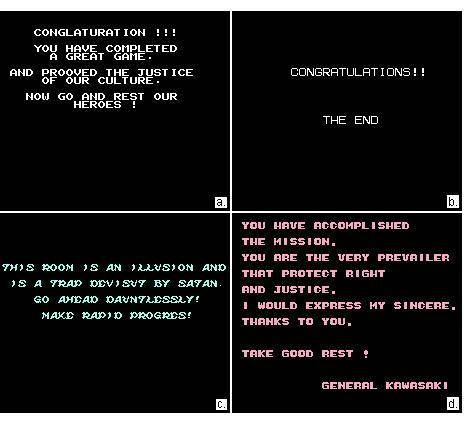 Being the closing ceremony, this final quiz is all about retro videogame endings. It comes as no surprise that there are multiple spoilers ahead, so please proceed with caution. You’ve been warned! Make your country proud and finish these retro games with a perfect gold medal. Just leave your answers in the comments and check my community blog tomorrow (8/25) for the always dramatic results. I hope you didn’t skip those closing credits! Good luck! 1. Best ending ever! The specific creature that saves Samus’s life at the end of Super Metroid is originally introduced in what game? 2. 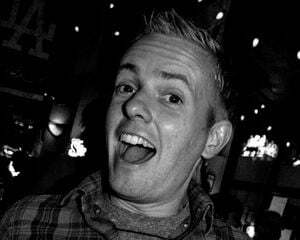 Head asplode alert! At the end of Bionic Commando, the head with a likeness of what famous dictator explodes in all its magnificent, gruesome glory? 3. Which of the following characters from The Legend of Zelda: A Link to the Past does not get a follow-up scene during the game’s incredible ending sequence? 4. At the end of the original Contra, Bill and Lance escape in what military vehicle? 5. Steve Wiebe would know this! When Mario finally reunites with Pauline at the end of arcade classic Donkey Kong, what side is he on? 6. What tragedy befalls the princess at the end of Earthworm Jim? 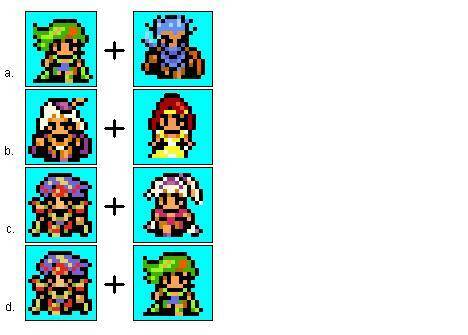 7. Who gets married at the end of Final Fantasy IV? Ugh, some retro videogame endings are terrible! Match the below abysmal endings with the games they come from? 12. The Wind Fish that wakes up at the end of The Legend of Zelda: Link’s Awakening wants to make it big in Hollywood. What movie would he most likely star in? 17. We all know Samus is a woman, but what color hair does she have when she takes off her helmet during the ending of NES masterpiece Metroid? 18. The below trophy is awarded to the winner of what NES “board game”? 19. Which character flies a biplane during the ending of Sonic the Hedgehog 2? 20. Ridiculously hard question of the week! How many Yoshis surround Mario and Peach as they wave good-bye during the ending of Super Mario World? d. Wait, there are no Yoshis in that scene!